Lakeridge Tennis Club offers two top performance pools for swimmers of any age. Our indoor lap pool and hot tub keep members swimming year round. In warmer months our outdoor pool is second to none in the area for families and competitive swimmers alike. With two expansive floors of fitness equipment—including cardio, free weights, and machines—Lakeridge Tennis Club has everything you need to find your fitness routine. For great game action, LTC features four indoor racquetball courts, and if group classes are your style, join us for spinning, interval training, pilates, yoga, and more. Lakeridge Tennis Club is proud of its unparalleled offering of hardtop tennis courts. With 14 outdoor courts and 4 indoor courts, at the Lakeridge Tennis Club we are positive you’ll find the time to play. Lakeridge Tennis Club is the premier destination for tennis in the region, simply unrivaled with 14 beautiful outdoor hardtop courts and 4 first-class indoor courts. You will not find a better offering to play, practice, or compete. Located in the heart of south Reno, Lakeridge Tennis Club features everything you need to achieve your fitness, health, and athletic goals. Lakeridge staff are always available for walk-in tours, and guest passes are available following a tour so that you can experience first-hand all that the Lakeridge Tennis Club has to offer. Leading trainers and fully equipped facilities help jump start your healthy life at Lakeridge. Come see our spacious studios, and meet our experts ready to coach you in reaching your personal fitness goals. Since 1978, Lakeridge has been a Reno touchstone for top athletes, fitness enthusiasts, and families alike. Whether your goal is to lose weight or build muscle, train for the next triathlon or rehab an injury, meet new people or see old friends, Lakeridge Tennis Club has all you need under a single roof. Memberships are available at single, couple and family rates. Free tours are available along with short term guest passes for prospective members. Just click below to reach out to our membership staff and get started. 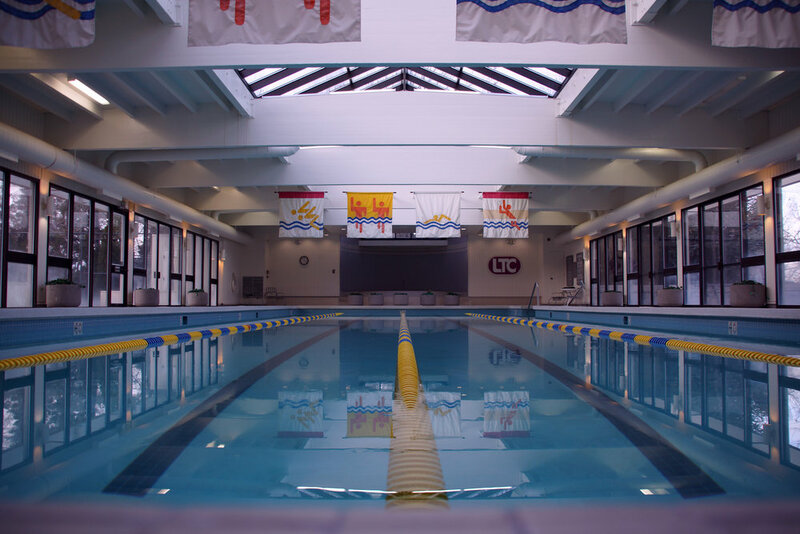 Home to the top youth swim team in Northern Nevada, Lakeridge offers the best indoor and outdoor facilities for swimmers of all ages and abilities. Featuring both 25 yard (inside) and 25 meter (outside) pools, LTC also includes indoor and outdoor hot tubs and 1 and 3-meter diving boards outside. In the summer, poolside lounge space surrounded by aspen trees makes Lakeridge the most scenic performance lap swim in the region, and a favorite setting for family summer fun..